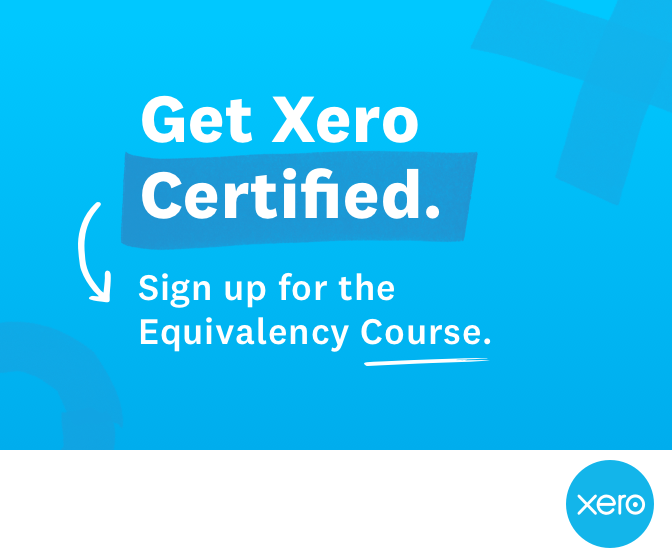 Premier Training have teamed up with Xero and are pleased to offer the Xero Advisor Certification Equivalency Course FREE OF CHARGE to anyone who enrols with Premier Training. Xero is a cloud-based accounting software which connects people with the right numbers anytime, anywhere, on any device. For accountants and bookkeepers, Xero helps build a trusted relationship with small business clients through online collaboration. Xero has over 1.5 million subscribers worldwide who have transformed the way they do business. This course will be an excellent addition to your CV and it is FREE so you have nothing to lose and everything to gain. Jessica (Jess) Leyland enrolled with Premier Training on 30/01/15 on the AAT Level 2 Certificate in Accounting and achieved her AAT Level 4 Diploma on 03/09/15. This means it took Jess a little over 7 months to complete and achieve these three levels. Whilst this in itself is a remarkable achievement, Jess has been an exemplar student and I would like to explain further why she, in particular, deserves recognition. History: Jess had previously studied basic accounts through the Open University and managed to secure employment in a finance role on this basis. Her employer soon recognised that Jess had huge potential and would be a valuable asset to their business. 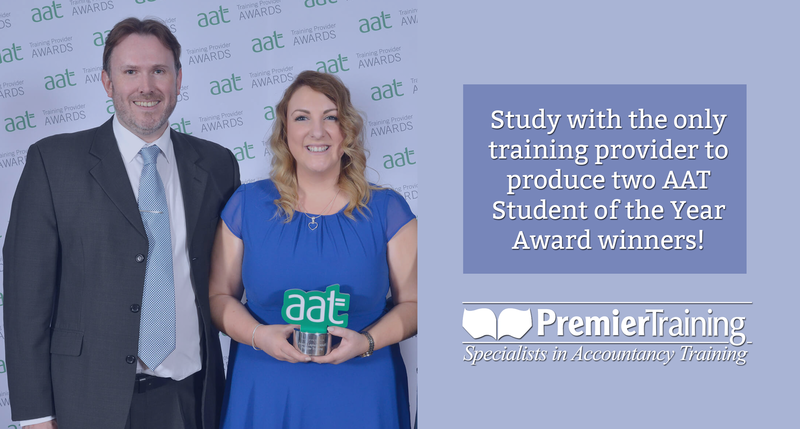 Wanting Jess to have the right skills for the job, they agreed to invest in her development, choosing the AAT as the ideal way to do this, resulting in her subsequent enrolment at Premier Training. Furthermore, her employer also decided to develop and expand her job role at this point and despite these new responsibilities, she was able to combine her studies with the added pressure of further on the job training. However, Jess, recognising this huge opportunity, and due to the increased reliance on her by the business, applied herself almost full-time to her studies outside of work; in order to learn her subject well and achieve her goal of MAAT status in as short a time as possible and benefit her employer. Jess returned her first assignment 6th February, and in total completed 64 Premier Training Assignments over the three levels. During this 7 month period, she also successfully gained competency in the 16 AAT Assessments and in her ICAS project. We are happy to ‘fast track’ students where they show a significant aptitude for learning and, in Jess’s case, I was more than happy to accommodate this. As Jess’s Tutor, I soon noticed she was an exceptional student, however, for Jess this has never been about achieving a few lines on her CV. Both her employer and Jess recognised the AAT as the route that would equip her with the necessary skills they needed for their business as well as being beneficial for her career. Jess showed incredible determination to succeed and there is not one aspect of her AAT journey that I can fault. I couldn’t be more proud of one of my students in her attitude and commitment towards learning. She applied herself 110%, always takingon board my feedback and advice; even slowing her pace (!) when I felt she was not understanding the subject to the required standard. Jess continues to work for the same employer as Business Operations Manager (£2.5 million annual turnover). 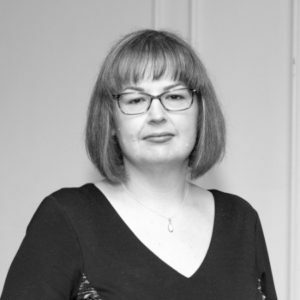 Jess oversees all financial and management accounting functions, involving monthly meetings with Directors and has recently worked closely with external accounting firms on the year end accounts. I believe Jess’s journey with the AAT demonstrates how valuable the Diploma pathway can be, the opportunities it provides and how it can change lives. Jess is a fantastic example of this in everyday action. We are delighted to be able to nominate Jess and are incredibly proud of her achievement. Furthermore, I strongly believe highlighting Jess’s story would give students and business alike, confidence in the opportunities AAT can provide, and Jess would make a fantastic ambassador / role model in this respect. I genuinely hope that her achievement can be recognised nationally, by awarding her the Student of the Year Award for 2016. Since completion, Jess successfully applied for MAAT status, and describes her learning journey as one of the most valuable experiences she’s ever had which she enjoyed tremendously. We are immensely proud that Tamara Salter has won AAT Student of the Year. She really is an inspiration and her hard work and dedication has proven that anything is possible. We congratulate you and wish you all the best for the future. If you’d like a chance at becoming the AAT’s next Student of the Year, enrol with us today! Click here to find out more about our courses or click here to request a call back from our friendly Course Advisor team. 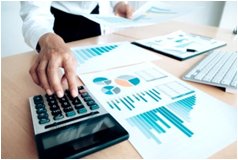 The AAT full membership (MAAT) is an internationally recognised status within the Accounting and Finance Industry and is highly regarded by employers. It shows that the individual has achieved a high standard of education and experience as well as commitment to keeping those skills and knowledge updated through industry-based activities. There are 4 steps to take in order to obtain MAAT. Documenting your work experience is vital evidence to show that you have put your knowledge and skills gained from your qualification into practice.There are set criteria’s that you must meet to demonstrate competence, including a technical competence which means you must have at least 6 months work experience and must be verified by your employer. 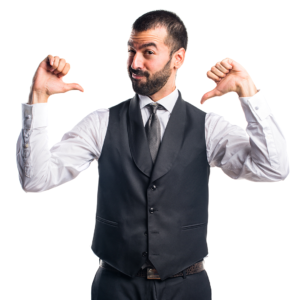 The other areas of competence are verified by the AAT. All experience must be within the last 5 years and can include voluntary or self-employed work. The AAT require a professional reference. The referee should have knowledge of your work, should work within a senior position to you and have had a working relationship with you for a minimum of 6 months. 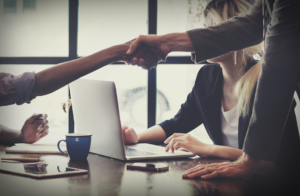 The AAT can accept references from a friend or relative if they are a qualified accountant or AAT licensed member.The person providing the reference can be the same as the person confirming your technical competence from step 1 if necessary. On application, there will be questions to answer that are set by the AAT in order to measure suitability along with a declaration to sign. 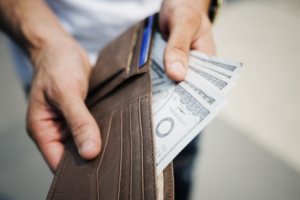 The final part of the process is to ensure your admission and annual subscription fees are paid.The fees are set specifically for MAAT and the pricing can be found here. You will need to maintain payment for the annual fee in order to ensure your MAAT status remains current.If you already have membership as an affiliate the AAT will only change the full member rate once your current annual membership expires. The AAT will confirm in writing if your MAAT status has been approved. If approved they will send you a certificate and welcome pack. You can then choose to become a licensed member and can find all the information you need to know about that option here. If you would like any information on getting started with your AAT studies and starting your Accounting career today you can call our Course Advisor Team on 01469 515444. Where can each Accounting level of AAT take you? This doesn’t mean your Accounting studies have to stop at level 4 of the AAT. You can find out about your options after the AAT here. In the 2017 AAT salary survey, 77% of students agreed that studying for an AAT qualification has increased their earning potential. If you want to gain a recognised qualification and boost your salary and career prospects in the process – AAT is the right place to start! Every student who enrols onto an Accounting course with Premier Training will receive their own MyPTA (My Premier Training Account) to access our award winning resources. Navigating through this could not be easier but this guide will take you through the easy steps and benefits of your MyPTA account. After enrolling you will be sent your own personal login details and a link to follow. You can always login through the Premier Training website also using the drop down menu at the top of the screen. You can login 24 hours a day 7 days a week! Tutor details,Course Advisor details and resources. 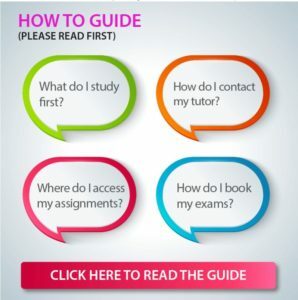 This first thing every student must do is read the How to Guide; this will make your journey through the course much easier. It explains everything you need to know and more, including how to get started, assignment grading, how to register with AAT, how to book exams, jargon buster, contact hours and numbers. So now you are ready to get started. Underneath the How to guide all of your resources are just a scroll away. Everything you need to complete the unit is located in this area so navigating through the chapters and assignments is straightforward. 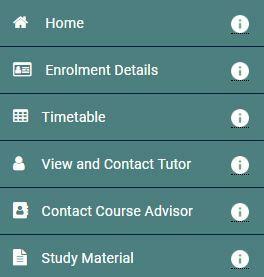 To make it even more effortless we have included some quick links so you can navigate quicker to the areas you need including timetable, quick messaging for your tutor and assignments. With our Award Winning resources for every chapter within our books you will find these available online with videos, help sheets and quizzes to help enhance your learning experience. Some of our units even have audio books and download books. Studying on the go has never been more achievable! 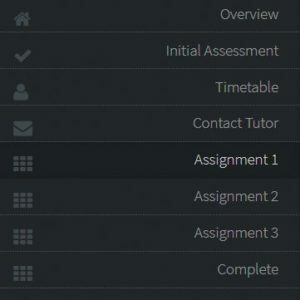 Each assignment completed is hand marked by your tutor, this ensures every student receives unique feedback with advice tailored to their needs to assist in making efficient use of your study time with attention and time spent on the precise areas it is needed. We want all of our students to pass their exams first time so our tutor feedback is vital and the results of how great our feedback is shows in our AAT success rates. 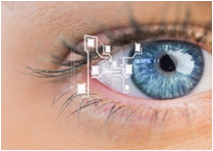 webinars and quizzes at your fingertips! It does not end with our Award Winning resources. We have an additional area where you can recommend friends/family and colleagues to receive rewards and an area specifically dedicated to resources/advice on career development. We really are the full package! If you would like your own MyPTA account you can get started today within one hour. CPD is a very important part of any career. It allows individuals to keep their skills and knowledge up to date with any relevant changes within the industry. The process of CPD is assessing each year your learning needs, attending suitable training to meet this and documenting the skills/experience gained. Monitoring and Completing CPD is the responsibility of the individual. CPD is good practice within any Industry, but for AAT Accountancy Affiliate or Professional Members, it is compulsory. What will I gain from CPD? 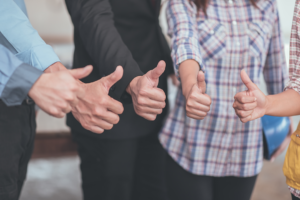 For those seeking employment or self-employed and looking to expand a customer base, CPD will show that you are up to date on all Accountancy practices, you are driven as well as organised and that you set your standards high for yourself. For those employed in the Accounting Industry, it helps to develop and skills and knowledge could save you time with tasks by learning new skills, will boost integrity and also confidence. 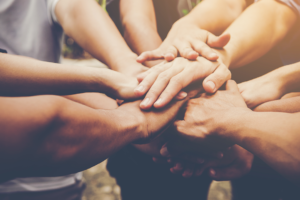 For the employer, it ensures all staff are following current legislation which means that the employer will have trust in their employees and staff who are satisfied with their job. Generally, employers also find when supporting CPD within the workplace the performance of the finance team improves. How can I complete CPD? You can check out all the AAT upcoming CPD events here. How do I track my CPD? Recording your CPD is your own responsibility but to make it easier the AAT have created an online CPD record tool which you can access within your AAT account. 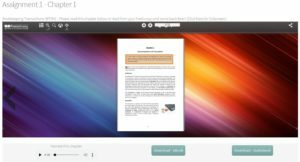 Alternatively, you can download free online templates online including this one from the e-learning marketplace. It does not have to be complicated as long as you evidence the area for development, activities planned to meet this, date completed and hours that count towards CPD. If you are interested in starting a career in Accounting give Premier Training a call on 01469 515444 to discuss the options available and study with an AAT award-winning provider. 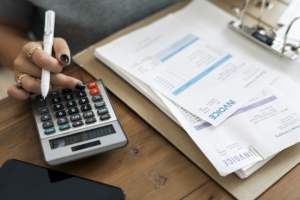 So, the latest changes to be made by the AAT are to the Foundation Certificate level, which will also see changes to the Bookkeeping qualification as they are the same assessments. Bookkeeping Transactions (BTRN) and Bookkeeping Controls (BKCL) have both had the time allowed for the exam reduced from 2 hours to 1.5 hours. It has been confirmed that the content has not changed only the time allowed has changed. Students are already asking if they will have enough time to complete the exam. Our advice to students who are currently studying these units and who will be ready to take the exam before the 25th October is book them in and take them if you feel ready before the new assessments go live. If you don’t feel ready then practice, practice, practice. 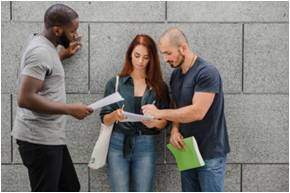 It is definitely achievable to complete the exams in the new allocated time however, you will need to ensure you have covered all your course materials and gained sufficient feedback to ensure you have the best chance of passing. Over the next few weeks Premier Training will be working on our practice AAT foundation assessment material to ensure it is in line with the 1.5 hours allowed by the AAT. 27 September 18 – New practice assessments for BTRN and BKCL will be available online and available to schedule and sit within Secure Assess. 24 October 18 – The last date BTRN and BKCL can be scheduled and sat under the current time allocation. 25 to 31 October 18 – No assessments for BTRN and BKCL can be scheduled during this time. 25 October – You can schedule assessments for sitting from the 1 November onwards. 1 November 18 – The new BTRN and BKCL assessments are available for sitting. 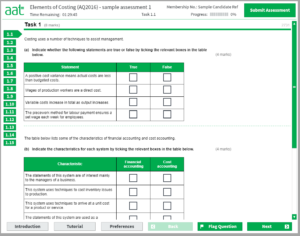 The next change to the Foundation Certificate level is to the Elements of Costing (ELCO) unit. The new assessment will see the number of tasks reducing from 15 tasks to 10 and the marks available will reduce from 140 to 100. However, the content that will be examined has not changed. So the qualification specification content all remains examinable and therefore this should not impact on a students study. However, with the number of tasks reducing it will be extremely important that the students practice and revise all areas of the syllabus thoroughly. 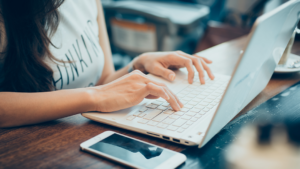 1 November 18 – New practice assessments for ELCO will be available online and available to schedule and sit within SecureAssess. 20 December 18 – This is the last date the current ELCO can be scheduled and sat. 21 December to 2 January 19 – No assessments can be taken during this period. 21 December 18 – You can schedule assessments for sitting from the 3 January 2019 onwards. 3 January 2019 – New ELCO assessments go live. 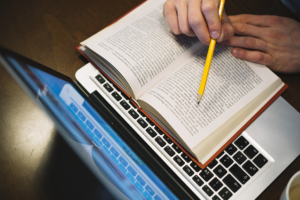 What is your learning style and how can you apply it to Distance Learning? Discovering your learning style can often make studying easier and make learning more effective. You can discover things about yourself that you did not know allowing you to understand what works best for you and why. This is the preference for information in the form of maps, spider diagrams, charts, graphs, flowcharts, labelled diagrams, and all the symbolic arrows, circles, hierarchies and other devices, that people use to represent what could have been presented in words. Distance learning students will benefit from underlining, using different colour fonts, highlighters, replacing words with symbols, drawing diagrams and recalling answers from pictures. This is the preference for information that is “heard or spoken.” Learners who have this preference tend to prefer lectures, group discussion, radio, using mobile phones, speaking, web-chat and talking things through. Distance learning students will benefit from talking out loud as well as talking to oneself, talking through an idea/plan before putting pen to paper and using tape recorders to take notes/listen back to notes. This preference is for information displayed as words. Many students have a strong preference for this mode. Students tend to prefer reading and writing in all its forms but especially manuals, reports, essays and assignments. PowerPoint, the Internet, lists, diaries, dictionaries, thesauri, and quotations. Distance learning students will benefit from writing notes, changing diagrams/charts into statements, practice exam questions repeatedly, write to do lists with (a,b,c,d,1,2,3,4) and arrange your words in hierarchies. This is the preference for completing tasks in the form of experience and practice (simulated or real as long as it is ‘hands-on’). Students tend to prefer demonstrations, simulations, videos, practice assessments and applications/apps. Distance learning students will benefit from work experience, writing or speaking based on experiences/examples (case studies), writing out notes as a methodical procedure, talking through notes with other people/role play and using pictures/charts to illustrate ideas. There are very few instances where one mode is used or is adequate enough, so most students will be somewhat multimodal. There is usually a preferred learning style but most students need to satisfy all aspects in order to feel a job is complete. As the role of an Accountant requires all techniques it will be beneficial to be familiar with all 4 areas. To find our your learning style you can complete a free Learning style questionnaire provided by VARK here. At Premier Training we are able to offer resources that cater to all learning styles for our AAT distance learning courses. To have a chat about how we can best make your AAT goals a reality, give our Course Advisor a team a call today, on 01469 515444. There are a variety of benefits to having an AAT membership. Not only do you achieve a highly recognised International qualification through specialists in accountancy but you get to take advantage of all the other bonuses that come along with achieving your AAT courses! Through your own AAT online account, you can access resources designed around your chosen pathway so you can ensure along with provider resources you can be fully prepared for your exams. You will also receive AAT email updates and AAT magazines so you will be up to date on all the latest changes in the industry, new resources, events and conferences. If you go on to achieve the Professional Diploma in Accounting Level 4 you will have even more benefits! This includes including your career prospects, gaining designatory letters after your name (MAAT – Member of AAT), being up to date with all the latest changes in the industry, opportunities to be your own boss and technical/ethical advice and support through Industry specialists! Attend conferences, training events and keep your CPD (Continuous Professional Development) up to date. Keeping your CPD up to date will ensure you not only meet membership requirements but also keeps your skills/knowledge up to date which will give you a head start against your competition. If that was not enough the AAT have even lined up some extra treats for members with the AAT reward scheme! You can access discounts with local businesses including cinemas, travel agents and insurance. To find out more information and a full list of all the benefits of the AAT membership click here to be directed to the AAT website. To get your AAT qualification and get a flying start in your Accountancy career sign up today with Premier Training’s home study AAT courses and include your membership fee in your instalment plan completely interest-free. Click here to get started today! 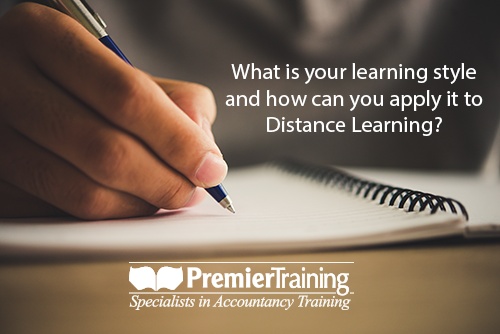 Returning to your AAT Distance Learning studies after a break break can be a challenge. 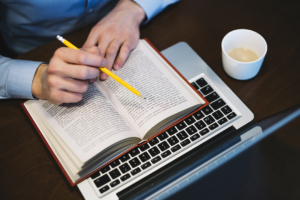 Here are some tips that may help you kick-start your studies and get back on track to completing your AAT Distance Learning qualification. Before you even begin to put any plans in place or pen to paper you must feel ready. A lack of confidence can lead to doubt. Doubting yourself will not lead to success. Before you start to think about all the things you have accomplished so far, things in the past you did not think you could achieve on the initial journey and how far you have come since then (Passing GCSEs, passing your driving test, winning the interview: new job, purchasing a house etc). Being able to achieve something that you may have felt was initially difficult, no matter how small, the concept is the same for your studies. A little confidence will go a long way to giving yourself the push you need. It is important to get the right balance between home life, work, and studies. Life can be very difficult at times so creating a plan could help. Set dates and times that are right for you, everyone is different, don’t allow other students/situations around you make you feel pressured into having dates that are not achievable or suited to you. Having a deadline to work towards can be motivationally challenging. Setting dates that are going to cause stress and anxiety can be very damaging and set you back. Try to list what you want to achieve that day. Pencil in topics to study each day rather than ‘study day’. This will allow you to know the start point and end point so you can plan better for your next study session. Learning new subjects can be overwhelming so don’t forget to ask for help when you need it. If you are enrolled with Premier Training you have a tutor you can contact as much as needed for support. It is part of the service we provide to you so be sure to utilise it as much and as often as you need it. Talking over something you find tricky with an experienced specialist tutor will help make things clearer. Just ensure you fully understand they may ask questions or allow you the chance to ask questions to test your knowledge. Suddenly something that seemed impossible to grasp 15 minutes ago has turned into something that is second nature. This adds to your confidence which then adds to your passion for progression! You can also find lots of help on social media through groups and forums. A problem shared is a problem halved. Even with Distance Learning, you are not alone! When it comes to ‘study time’ choose an area that has as little distractions as possible. You will benefit from choosing a well-lit area with some surface area and minimal clutter. Plants are also known to reduce stress levels and make studying more productive as green is a calming colour which can add balance to your state of mind. Keep your emails closed and phone out of reach, switch off from any possible distractions as much as you possible. Once you get focused and make a start on a task you will be surprised how easy it feels to continue and time flies! Your progress will drive you forward so it is so important that you stay focused to achieve the goal set. No matter how little each day or week, progress means the end goal is in sight! If you are a Premier Training student you can contact your tutor by phone, email or quick message via MyPTA. You also have a dedicated Course Advisor who will be happy to discuss your course and get help get you to get back on track.